The Sons Of Liberty - Bradlee, Censorship Sounds a Little Conspiratorial! It Sure Does. 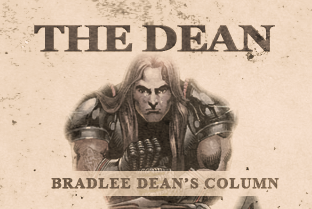 Home - The Dean-Bradlee, Censorship Sounds a Little Conspiratorial! It Sure Does. “Conspiracy theory is the ultimate refuge of the apathetic. If you cannot change your own country, it must be that some greater force controls the world and there is nothing that you can do about it. This is exactly what conspirators would have you believe. The truth of the matter is, you do not want to make the effort to deal with it." As we all know, the big tech companies are crossing major constitutional lines when it come to the censoring of Christian conservative and patriotic websites. As if to suggest that they can lawfully shutdown lawful speech because it is an offense to their subversive positions, they cannot. With that said, around 5 years ago when we first put up the media website www.sonsoflibertymedia.com, we were doing really well. After 3 months, we were breaking into about million views a month and we were ranked 14,000 in the United States. Not bad. Then the fourth month came around and it was as if someone pulled the rug from underneath us. What just happened? I knew immediately that Facebook, Twitter, Google and other big tech companies were doing something mischievous and illegal (1 John 3:4) behind the scenes. It is interesting how much the Bible speaks of conspiracy (1 and 2 Kings; Psalm 2:2; Isaiah 28:18; Jeremiah 11:9; etc…), and yet, people act as if it is a thing of the past. I am here to tell you that it is being played out over and over in the present, day-by-day, week-by-week, month-by-month and year-by-year. Here we are 5 years later, and big tech companies are openly censoring and banning at will without any legal recourse (at least temporarily) and guess who it hit the hardest? It just happened to hit the man that told me that I shouldn’t be conspiratorial. I talked with him the other day and told him, “I remember telling you what Facebook was doing 3 months after I started my site. You said, 'Let’s not get conspiratorial.'" I went on and told him that there is an alliance of conspiracy and monopolizing (banning-targeting the same people at the same time). This is all an effort to shut down their opposition. The CIA-controlled media has been doing this far too long in this country and now it’s hitting home. He has now had several of his sites shut down with no explanation whatsoever. One site had 3.5 million followers, as well as an investment of over $350,000 dollars. Another site had 2 million followers with a $300,000 dollar investment. I have another friend who had over 20 million followers shut down by the big tech companies without any explanations whatsoever. Furthermore, he went on and said that he was simply trying to play by the rules, and I reminded him that big tech companies are not, because they do not believe that they have any rules, that is until the people in this country remind the big tech companies that they are subject to the same laws the rest of us are. The good news is that he owned up to his fault, and said that he was wrong. It brought him a little closer to reality that Americans are no longer talking of how this is happening to someone else in a foreign country. America you still have the law, and that law applies to them just as much as it does to us, but you have to enforce it (Isaiah 51:4).